South East, South South Governors’ Forum emerges – Royal Times of Nigeria. A new group, South East and South Governors’ Forum, emerged on Sunday to politically work together and realign as a people that shared common heritage, culture and affinity. Governor Emmanuel Udom of Akwa Ibom was appointed as the the chairman of the Forum at the first meeting of the forum held late Sunday night at the Nike Lake Resort, Enugu. Briefing newsmen at the end of the closed door meeting, Udom said that governors from the two regions decided to come together to pursue inter-regional cooperation for greater integration. The governor said that the two regions had agreed to politically work together and realign as a people that shared common heritage, culture and affinity. “Having reviewed the state of the nation particularly as it affects us in the South South and South East regions, we have agreed to pursue inter-regional cooperation. 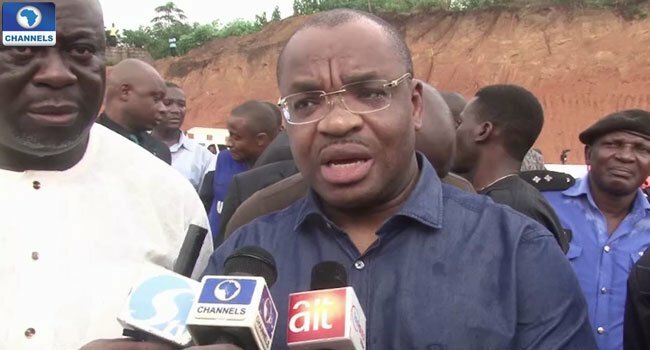 Udom said that he was unanimously chosen as the interim chairman by his brother governors, adding that their next meeting would hold in Port Harcourt on August 27. The News Agency of Nigeria (NAN) reports that present at the meeting were the governors of Abia, Bayelsa, Ebonyi, Enugu, Imo, Cross River and Rivers while the governor of Anambra was represented by his deputy.